Route 61 through Centralia, Pa.
Close to home: Bachelor&apos;s Grove Cemetery, Bremen, Ill.
Bachelor&apos;s Grove is a sparse, run-down cemetery located inside the Rubio Woods Forest Preserve. This disused little plot fell into the hands of vandals in the ‘70s, and a nearby road became the place for drag racing. 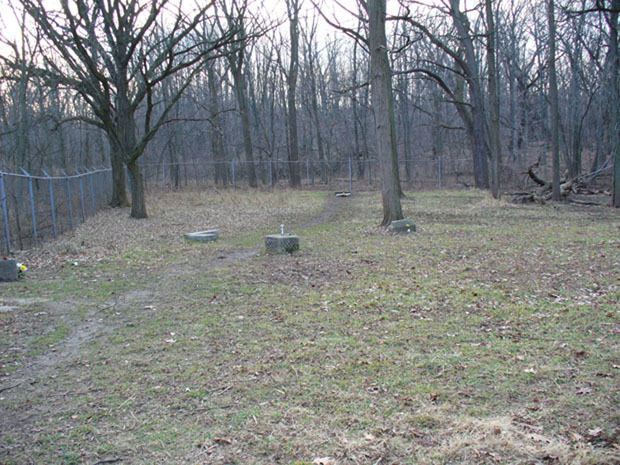 Ghost hunters claim the Grove is one of the most haunted spots in the Midwest, and believers have reported instances of glowing orbs and even a phantom farmhouse. Many of the lighter tombstones have been moved. But the heavier gravestones remain, including a beveled, checkered monument upon which a ghostly lady in white once appeared on film, according to the Ghost Research Society, though she was never seen in person. My friend and I visited Bachelor&apos;s Grove a few years ago and saw that people still leave items on headstones, like plastic roses and tiny biker teddy bears. But mostly we saw empty beer bottles, cigarette butts, a pastel thong half-buried in the mud and the footprints of either a satyr or a deer. As much as you would love to visit Bachelor&apos;s Grove at night, the risk of getting attacked IRL rises exponentially when the sun sets. Body chutes and ladders: Waverly Hills Sanatorium, 4400 Paralee Lane, Louisville, Ky.
Waverly Hills Sanatorium is an abandoned hospital that once housed up to 400 tuberculosis patients. The sanatorium was a self-contained city that created most of what it needed on site, including clean water, produce and meat. At the time of construction, builders also dug a tunnel from the hilltop hospital down to the base with a cart mechanism for supply delivery. At the height of the TB epidemic, hospital staff decided the high number of deaths caused both low morale and logistical inconvenience, so they began using the tunnel as a “body chute” to transport corpses. Believers claim to have witnessed orbs, flashes and shadows of past patients in the hospital. The Syfy Channel reality show Ghost Hunters talked about the haunting of room 502 by a nurse who was said to have hanged herself there. 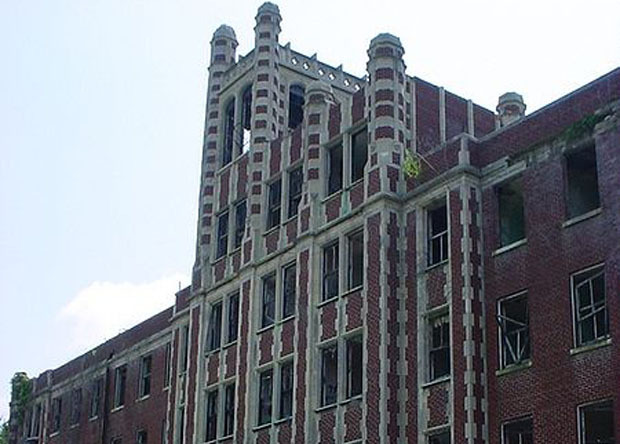 This one takes deep pockets, but you can surely shell out the cash to spend the night in Waverly Hills. Not one instance of the building shifting layout and dropping inhabitants into a different dimension has been reported. But then again, who would make it back to report it? Message for the Devil: Old Charleston Jail, 21 Magazine Street, Charleston, S.C.
Charleston, S.C. is a glorious town for ghost tours. 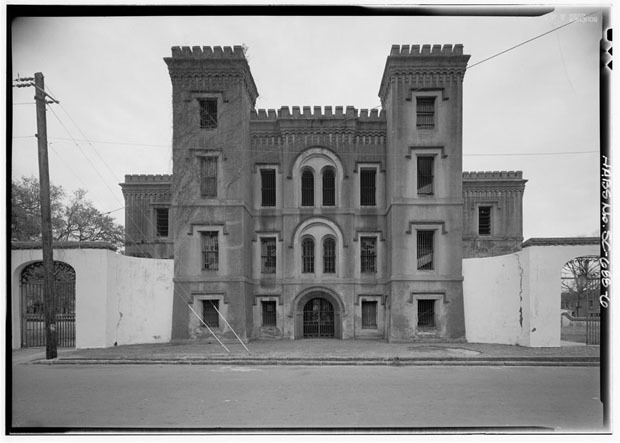 Most guides will take you by the Old Charleston Jail, where some serious meanies, like Lavinia Fisher, were housed until execution. Wikipedia calls Fisher the first American female mass murderer, but she wasn’t — she was a serial killer. Fisher and her husband, John, ran the Six Mile Wayfarer House in the early 1800s. According to one version of the story, the couple would poison wealthy male travelers with tea, just enough to cause them to collapse into bed in a stupor. Later in the night, the bed would collapse, dropping the unsuspecting man into a pit. Some say the pit had spikes. But the Fishers were foiled by one thing: a guest who hated tea and only pretended to drink it. Long story short, officials dragged Fisher and her husband to jail and convicted them of highway robbery, a crime punishable by hanging. At the time, South Carolina couldn’t execute a married woman — so the state hanged her husband first. Lavinia hoped to seduce a man into marriage at the last minute as a means of saving her life, so she asked to be hanged in her wedding gown. When no one said yes to the dress, she ruefully said, “If anyone’s got a message for the Devil, tell me now. I’ll be seeing him soon.” Believers claim Lavinia’s ghost can be seen in the jail, appearing as a blue light in an upper window. Fire in the sky: Brown Mountain Lights, Burke County, N.C.
Brown Mountain sits along the Blue Ridge in the Appalachians and is famous for its spectral lights. Usually in late summer and early fall, particularly on nights after it rains, glowing orbs and flashing lights can be seen along the mountainside. These lights have been reported as far back as the 1300s, according to Cherokee legend that tells of a battle between the Cherokee and Catawba. After the battle, torch-bearing maidens collected their fallen warriors. Believers claim the lights are the ghosts of those maidens, still mourning their dead. I grew up in North Carolina, and the story I heard attributed the lights to a terrible mine accident in the 1800s. The miners’ wives took lanterns to the mountain, searching for their husbands, who were buried alive. The lights are the souls of those forever unsatisfied women. In 1922, however, the U.S. Geological Survey sent an agent to investigate. He concluded that the orbs were . . . SPOILER . . . train lights. However, in 1916, the Catawba River flooded and washed out train service for several weeks. Believers claim the lights were still visible then — a ghost train! 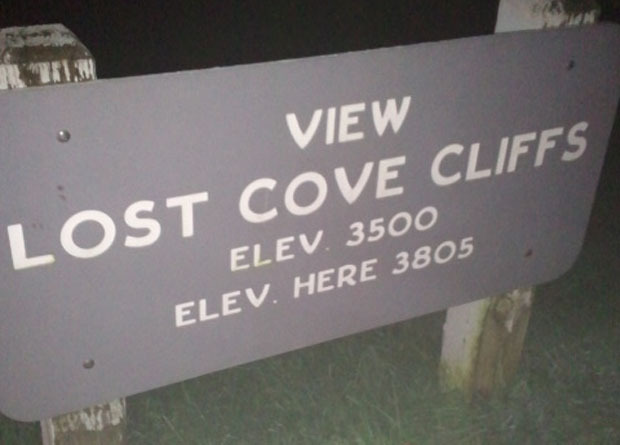 If you seek out the lights, the best places to view them are along Highway 181, which runs along the base of the mountain; at Wiseman’s View on Old NC 105; or at Lost Cove Cliffs Overlook at mile 310 on the Blue Ridge Parkway. The real danger of looking is hitting a wall of fog (like I did) and barreling off a cliff. When you enter the Parkway, there is an enormous sign warning you to turn back in times of fog. Do that (as I didn’t). The town of Centralia is burning — literally. In this case, the town itself is a ghost. For much of the 20th century workers in Centralia often burned trash in an abandoned mine they were using as a landfill. One unlucky day in 1962, a vein of coal caught fire. Workers put out the surface flames, but like a cigarette dropped drunkenly on a couch, the coal vein kept smoldering inside. Over the years, the indomitable furnace buckled streets and released toxic gases. The town was abandoned, save for a handful of holdouts — presumably armed with fire suits, gas masks, a bunch of wire hangers and a lifetime supply of hotdogs. Buildings were razed and nature slowly overtook the town. It’s estimated that the area contains enough coal to burn for another 250 years. Centralia has inspired a video game, a movie and a just-released 3D sequel, Silent Hill. Turns out folks love to throw matches into endless supplies of flammable material. 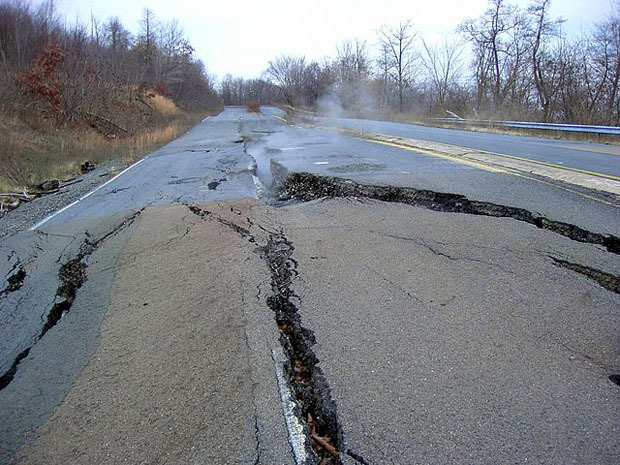 Of all the places on this list, Centralia is the one I want to visit most — but won’t. Don’t go here, people. This is not reverse psychology. You’ll fall into a pit of fire. And that will absolutely ruin your Halloween. Maureen Searcy blogs and collects ghost stories at We Are All Haunted.